I am busy this summer working to improve my classroom game for the coming school year (and to catch up on Netflix). 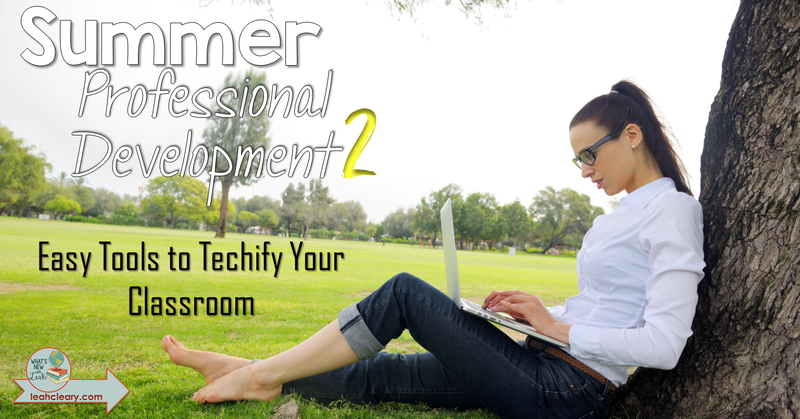 I'm sharing the former here in my summer professional development series. Last week, I wrote about Infusing Tech One Lesson at a Time. This week, I want to share some simple tools that will help techify your class. There is so much out there, and I discussed some in my Spring Tech Tips series. Today, I want to look at a few Google apps, add-ons, and extensions that can techify your classroom while improving your own and your students' productivity. To offer a quick run-down, apps are basically self-updating programs or websites that are the next generation CDRom (remember those?). Add-ons are tools you can get to add features to Google Docs. Extensions improve the functionality of your web browser. You can grab these tools by visiting the Chrome Web Store. There are so many apps, add-ons, and extensions out there that it's difficult to know where to begin, so I thought I would just pick my two favorite in each category and explain why they're so fantastic. The web's the limit here--literally. But two apps that I want to discuss today are Mind Mup and Gooru. Mind Mup allows your students to create mind maps--visual content organizers--digitally and then publish them to the web or share them with you. Teachers curate the content of the web into lessons in Gooru. Gooru allows you to create classes and give your students codes to join or to share lessons via links. Search Gooru for a topic that you're teaching and units other teachers have created will pop up. The units will include lessons comprised of readings, videos, images, interactive activities, and/or questions. The questions can be formatted several different ways (including multiple choice and free response) and are great to use as formative assessment. Every time I'm working in Docs, Forms, or Sheets, I always think, "I wish there were an add-on that would allow me to do such and such." Then I go to add-ons in the tool bar at the top, do a quick search, and there generally is. It's difficult to narrow add-ons down to just two, but I would have to say that my favorite for Sheets is Flippity and my favorite for Docs is Easy Bib. I would cry bitter tears if Flippity ever disappeared. It's a series of templates designed for non-coding geniuses like me to use in Sheets. With Flippity, you can create flash cards with images and film embedded, quiz games, crossword puzzles, bingo, spinners, progress trackers, and much more. All you do is fill in the template provided with your content, go to file and select "publish to the web," go back to Add-ons, select "Flippity.net," click on the link, and you will be directed to an awesome, interactive activity that you just created on a humble spreadsheet. The bane of my existence in grad school was bibliographies (and my students never seem to get them right now). I hated lugging around the MLA or APA handbook and checking and double checking that I got the formatting and punctuation just right. Easy Bib now takes care of that headache for us. While typing a paper in Docs, students simply open the add-on. Easy Bib comes up in the right hand pane. Students enter the website URL, book ISBN, or Title, etc. Easy Bib formats, alphabetizes, generates, and inserts your bibliography straight into your Doc. 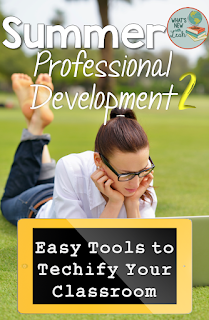 Extensions can increase your and your students' productivity. I have chosen to feature two that are perfect for conducting research--Liner and Sprint Reader. Liner enables you to highlight important text in web articles. It then saves the articles and highlights to your account. I love it because you can then organize the articles into folders by topic. When you go to create your Easy Bib, just open up your Liner Account, and grab the links from there. Sprint Reader is a speed-reading extension. It forces you to fly through the text. This is a huge time-saver if you (or your students) are researching a lot of material. You'll be surprised how much information you retain. Then scroll back through the article, and use Liner highlight important points. A word of caution here--if you are teaching ESL and struggling learners, do not use Sprint Reader. It will frustrate them. Select an extension that will read the webpage aloud to them instead, such as Read Aloud. The text can even be read in different languages! How do you techify your class? What are your favorite apps, add-ons, and extensions? Leave a comment below to let me know. And don't for get to check back in next week to learn how to turn your vacation into a lesson with tech! Want more? 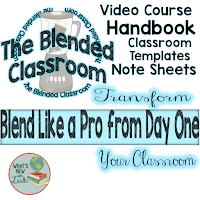 Be sure to check out my blended classroom course! I actually love the mindmap thing as a help for understanding. I love it because it's really easy to understand and to remember the info, when you're managing it in the map way. I think this method can work well with every single person and class. Maybe it even can help with writing the best college essays. It is human nature that we forget things over a period of time. Hence, you should review and revise things once a week that you have studied in class. This can help you to understand the concepts and also it can help you remember when you really need them the most.